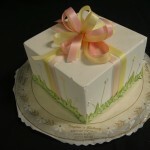 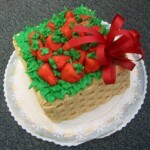 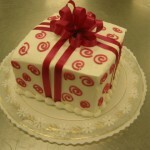 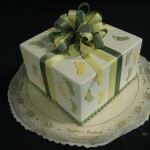 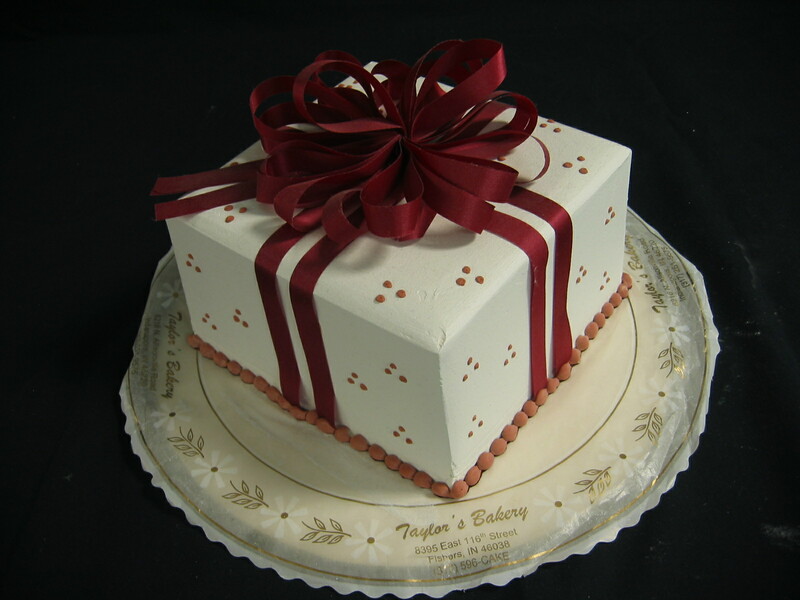 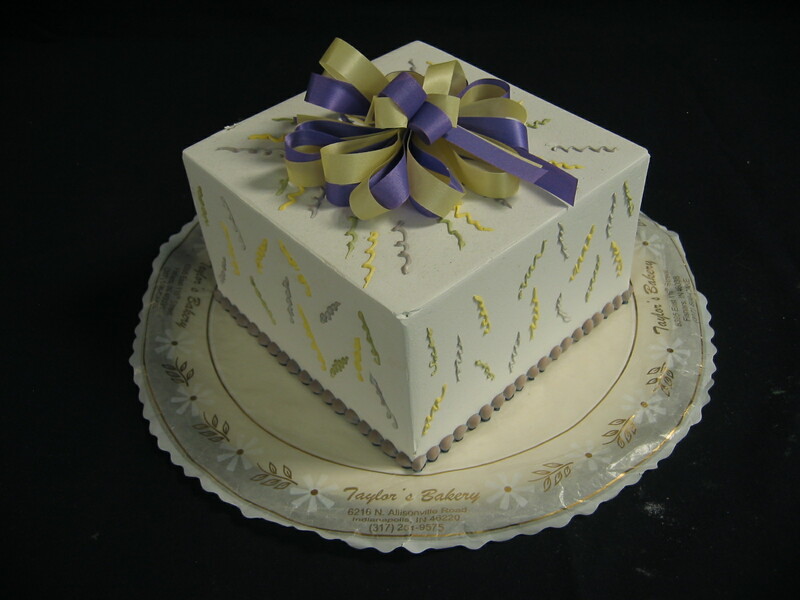 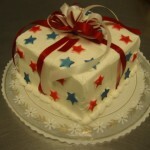 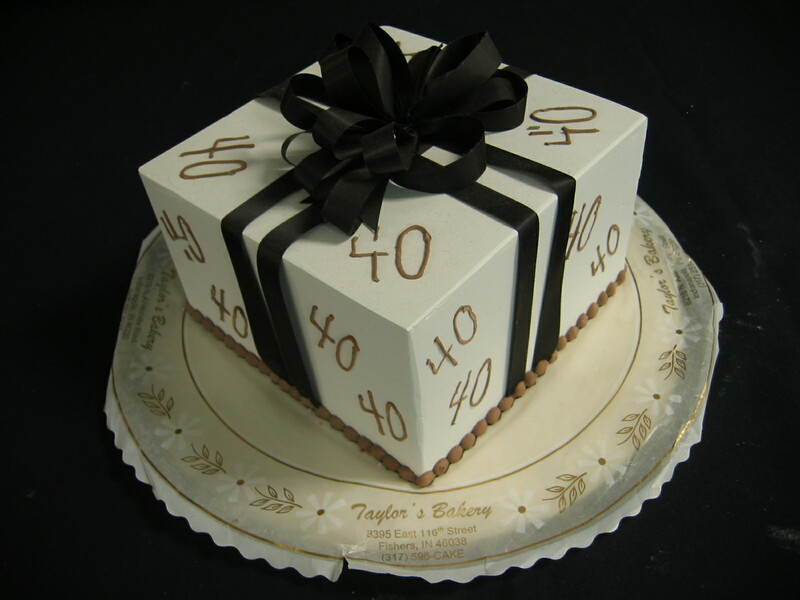 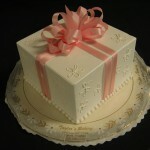 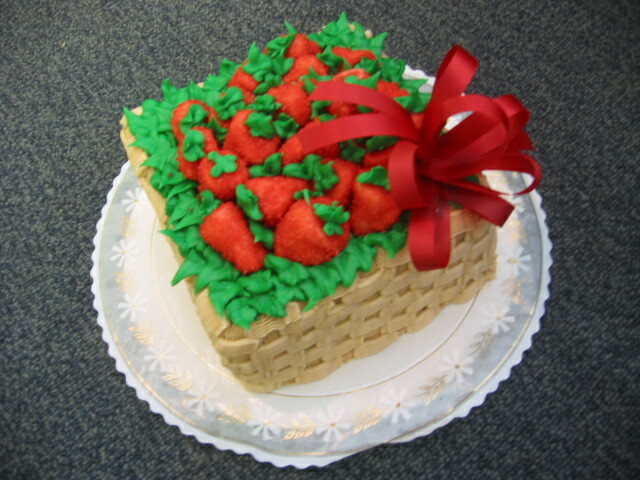 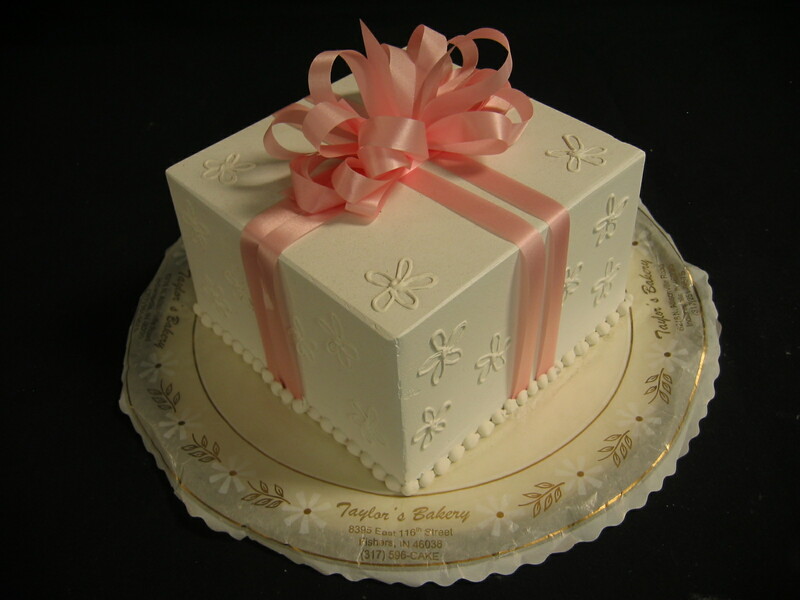 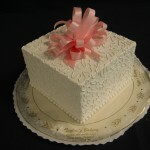 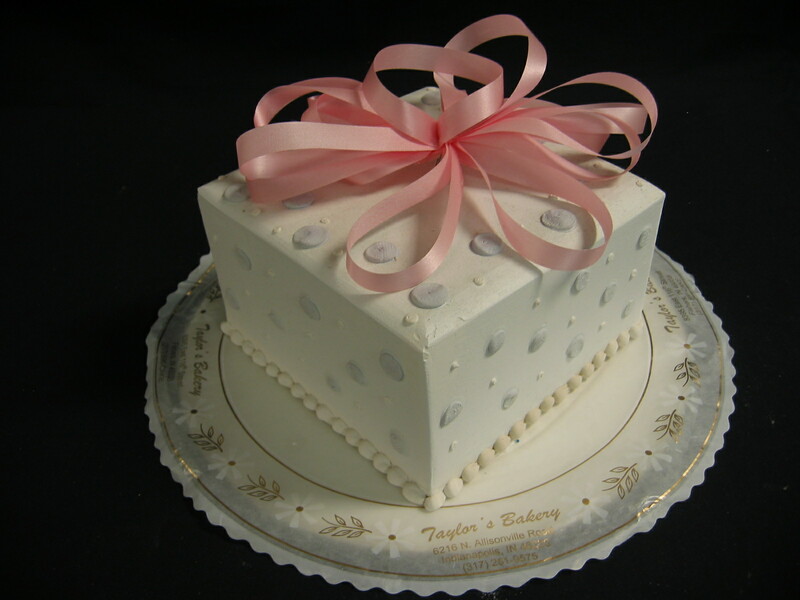 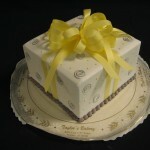 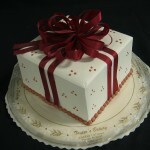 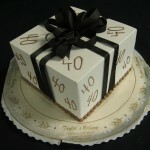 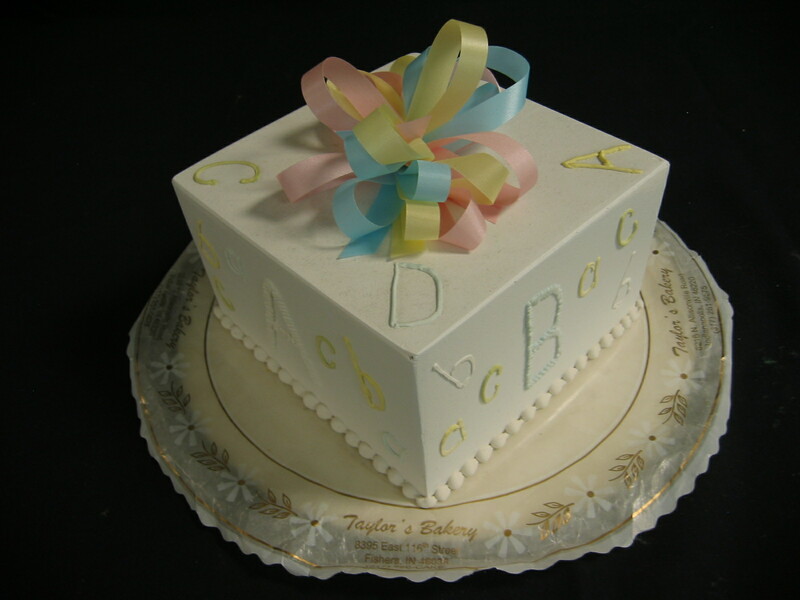 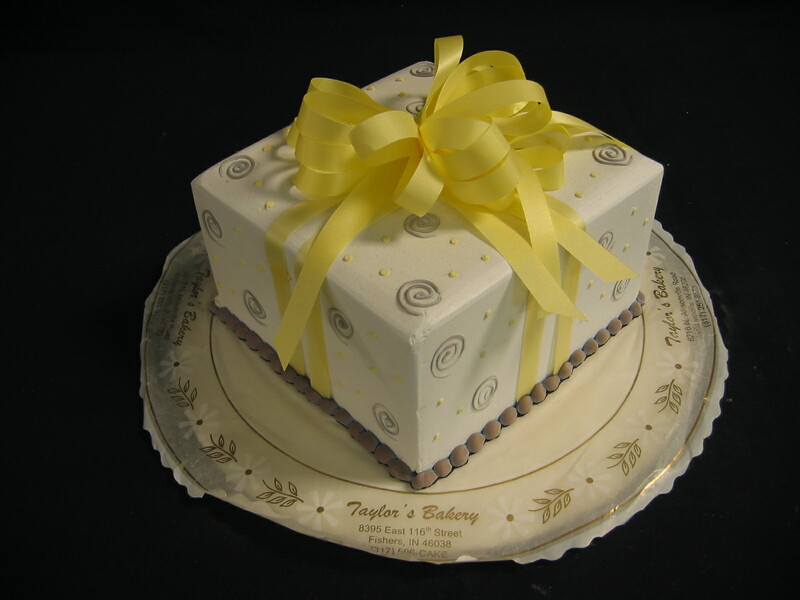 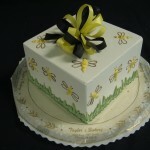 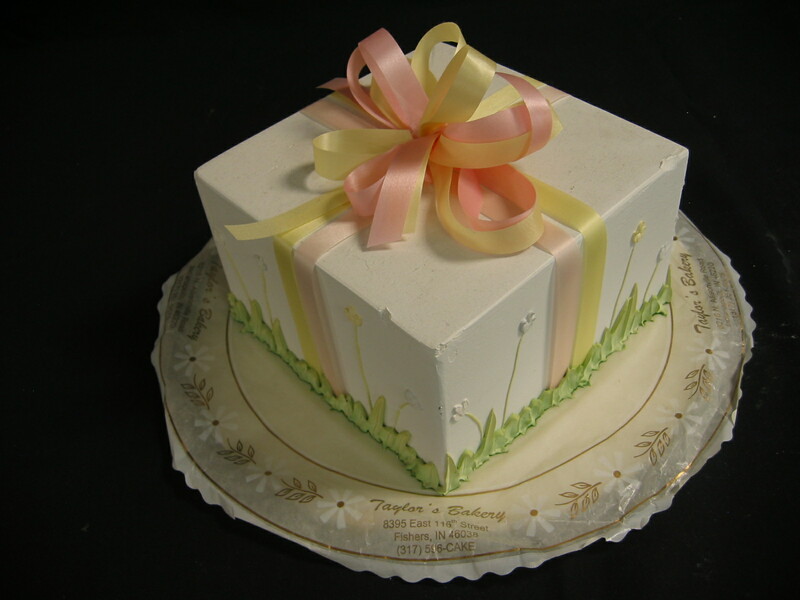 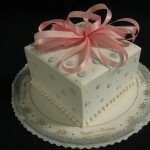 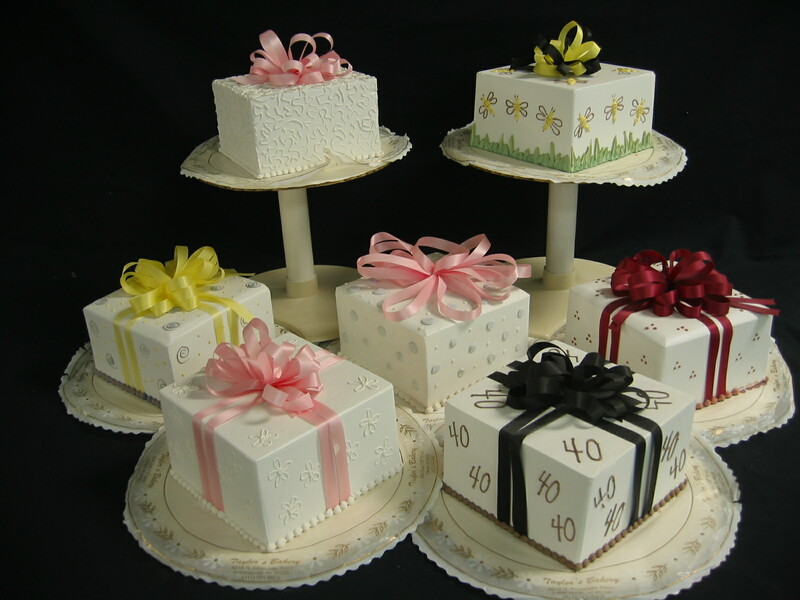 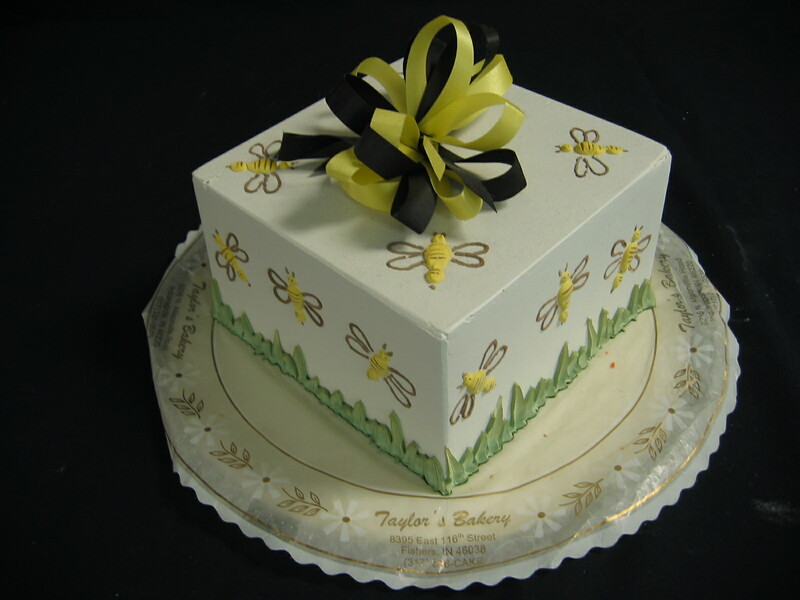 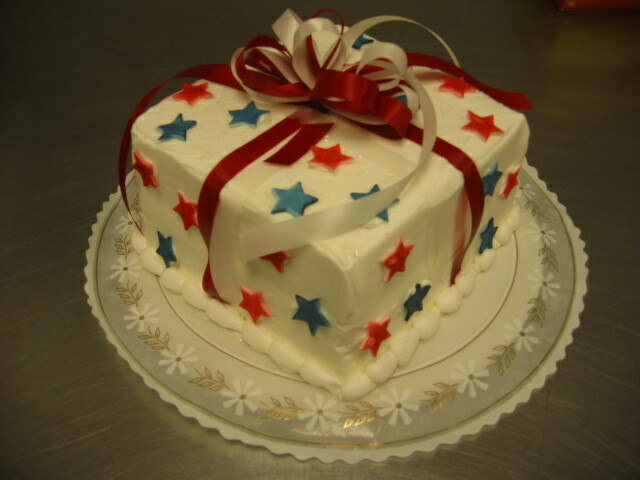 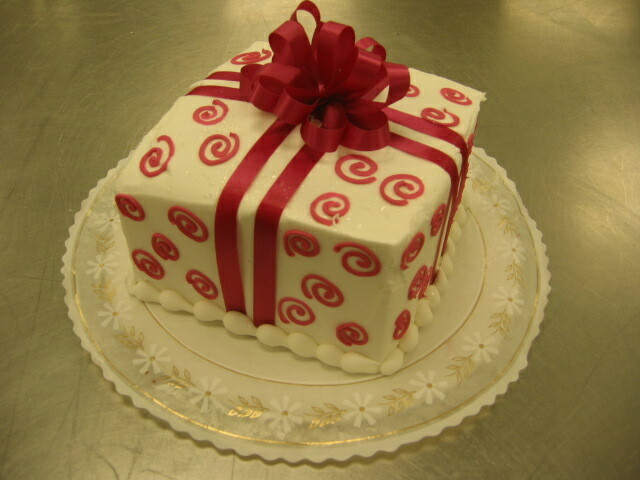 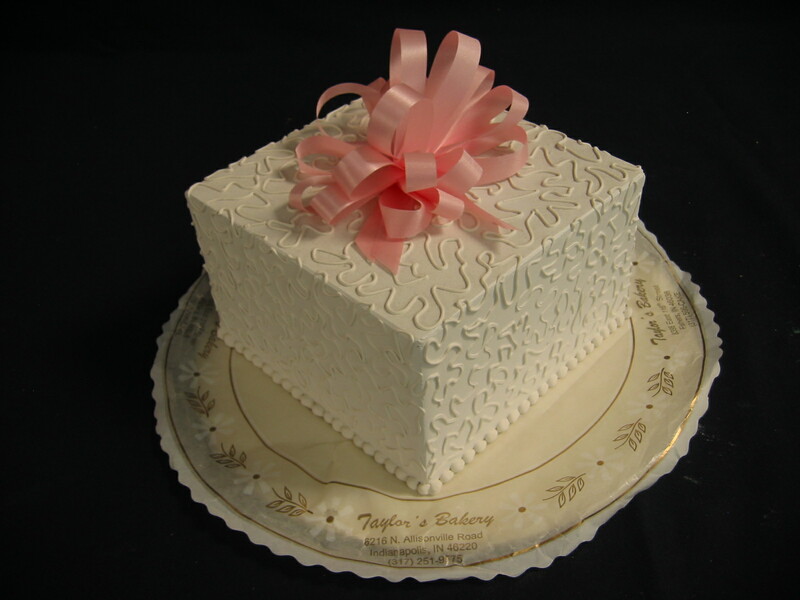 7″ square 2-layer “Package” cakes serve about 20. 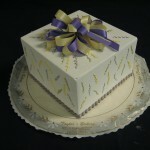 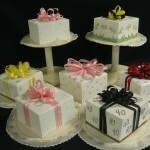 They are available in just about any color combination with many different choices for decorations. 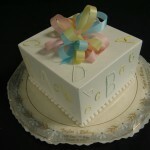 More pictures to come soon!